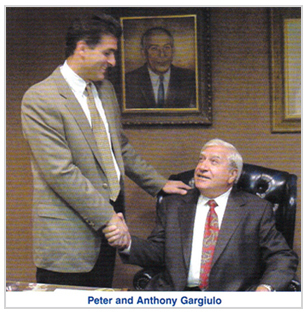 Louis Gargiulo Company, Inc., founded in 1938, is a third generation family-owned and operated business specializing in industrial, commercial, and municipal construction. Through the 40's and 50's, the company flourished and established itself within the community. In 1947, Aetna Casualty Insurance Company began underwriting performance bonds for the firm, a mere formality since Louis Gargiulo Company, Inc. has never failed to complete a project. The corporate philosophy is controlled growth with a quality product. The years of progress is a result of the pride and the interest taken by both the owners and the company employees, some of whom have been employed by Gargiulo for over 40 years. ©2017 Louis Gargiulo Company, Inc. All rights reserved | Website design by Rome Technology Ltd.